MERRYLCHEESE is a cheesemaking virtuoso, and you can be too. in St. Louis, Missouri, USA or your location. "During the first three hours of Merryl's class and glancing through her new book, I learned more than I have in 10 years of trying to teach myself cheesemaking." Happy participant, May 2017. 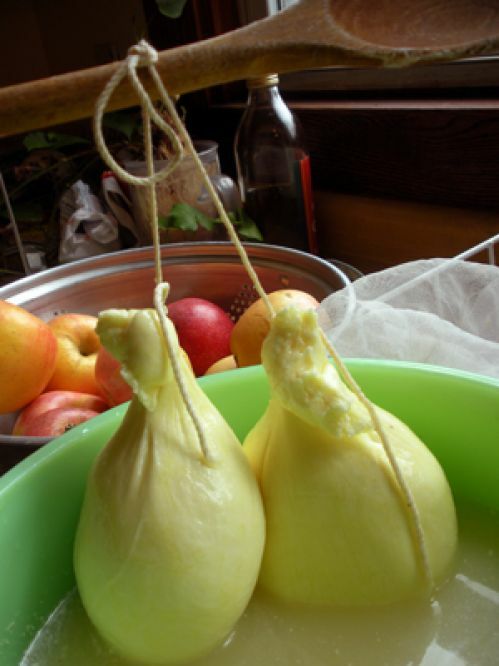 Tried cheesemaking and still have lots of questions? Have fun learning a full array of accurate traditional and professional cheesemaking techniques in every class, meet like-minded people, and go home ready to make all your favorites! Methods taught apply to cow's, goat's, and sheep's milk. Get your hands into cheese making. See, feel, and smell the changing textures and aromas which go along with the scientific explanations. Learn the different "clean breaks" for different kinds of cheese. Find out why correct milk cooling entirely affects the flavor and success of your cheese. See, feel, and memorize the correct curd texture at draining. Understand how to monitor and control acidity and pH, moisture, temperature, and salt, in order to create consistently delicious cheeses. Discuss goats, cows, sheep. Be boggled but happy with all this new information. And enjoy make new friends. You will NOT bring home cheese. You WILL bring home knowledge & confidence, plus a complete, 50-page direction booklet for making all your favorites. And you will get your questions answered! Traditional Mozzarella, stretched cheese. (Not the quickie citric-acid kind). Your 50-page direction book tells how to do everything, including other cheeses like Chevre, Yogurt, and Sour Cream. Near Kakao Chocolates; Big Bend and Manchester Rds; Pennzey's Spices. I will teach a class in your location. Kids through adults, beginners and experienced, attend my classes. Class details, scroll down. About Merryl Winstein, Cheesemaker, St. Louis, Missouri. 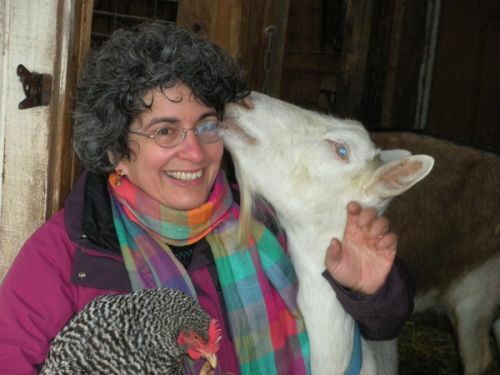 I am Merryl Winstein, and for 22 years I raised dairy goats and made cheese in suburban St. Louis, Missouri, USA. I started loving cheese as a teenager when I traveled alone to Denmark to visit my penpal and live with her family. There I ate phenomenal cheeses that weren’t available here at home. Those flavors inspired a lifelong journey of learning and then teaching the time-honored, traditional, and professional methods for making fabulous tasting cheese. I’ve taught a few thousand people of all ages, how to make delicious, authentic, artisan cheese of all types, at home or in the cheese making plant. Whether you've never made cheese before, or your cheese needs improvement, it's easy to learn the accurate yet simple techniques that will empower you to make wonderful cheese successfully, whether at home or in the plant. More media links, scroll down to bottom. Sign up here for "newsletter" get an email of class dates. Media links, scroll down to bottom. 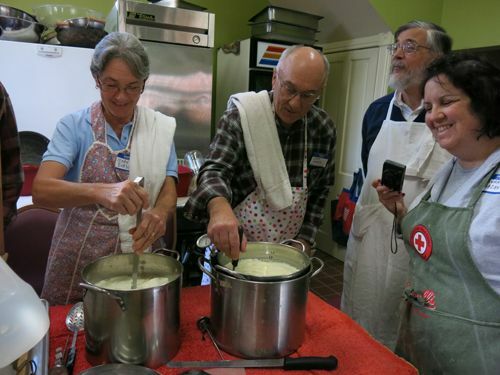 SIGN UP for your new adventure into cheesemaking, (click here)! 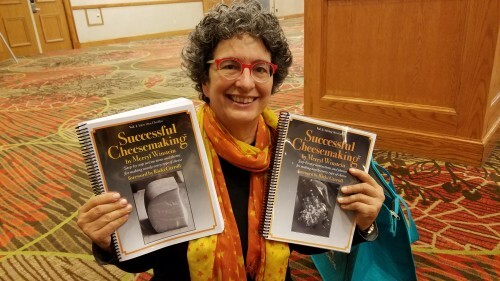 blogger Janet Fletcher's fascinating weekly cheeseletter Sept. 5, 2018 issue interview with Merryl; Successful Cheesemaking® book. 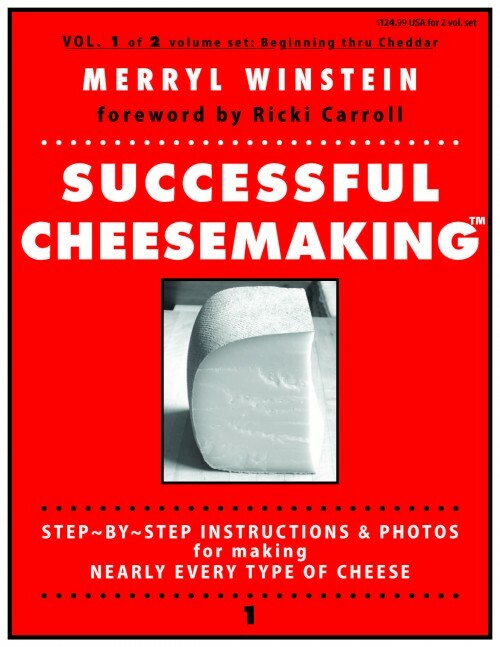 SIGN UP for your cheesemaking adventure, or to buy a copy of Merryl Winstein's new book, SUCCESSFUL CHEESEMAKING™, (click here)!